Kakarakaya kura is a delicious preparation of Bitter Gourd also known as Pavakkai Varuval or Karela fry andhra style. 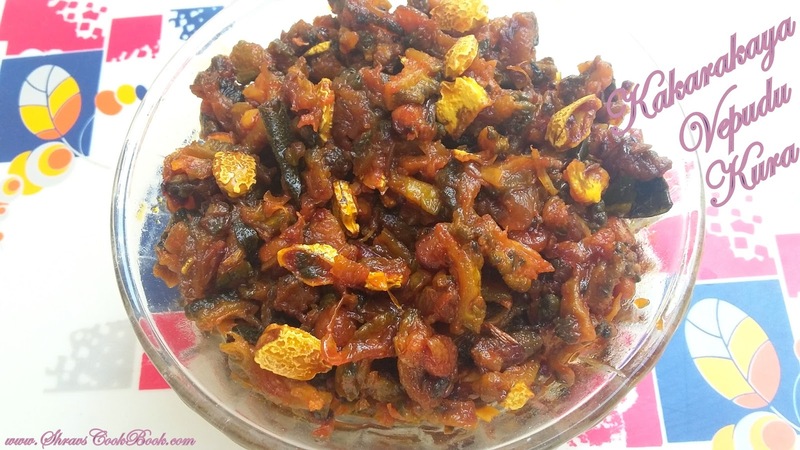 When I was a child I used to hate karela because of its bitter taste. Later when I grew up I realized its nutritional health benefits and started trying it in my menu. 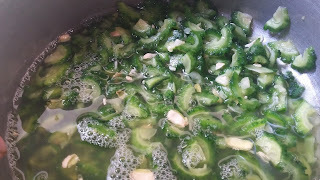 I tried cooking this vegetable in different ways but the recipes were still bitter and I was unable to consume it. 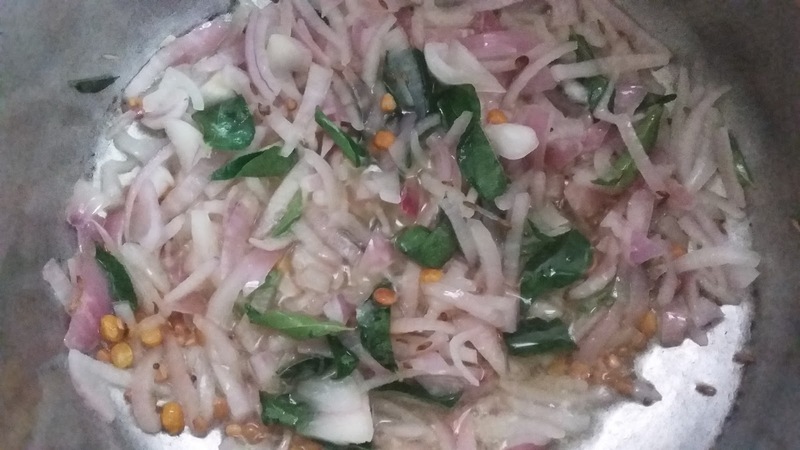 After getting married once my MIL prepared this kakarakaya fry aka kakarakaya vepudu recipe for me and since then I have become a huge fan of this recipe and also the vegetable. 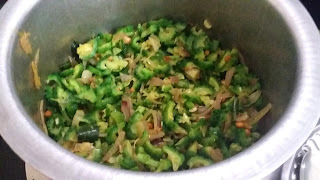 Now I prepare Karela Fry atleast once in a week. nice crunchy taste to the recipe. Steamed Rice, Tomato Rasam and Kakarakaya Vepudu makes a great and finger licking combination. You can replace sesame seeds powder with peanut powder too. 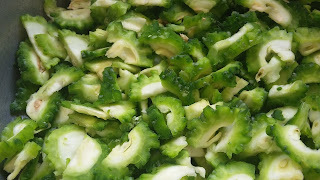 Many recipes can be prepared with Karela. Karela chips are most popular down South and are vividly available in any hot chips store. 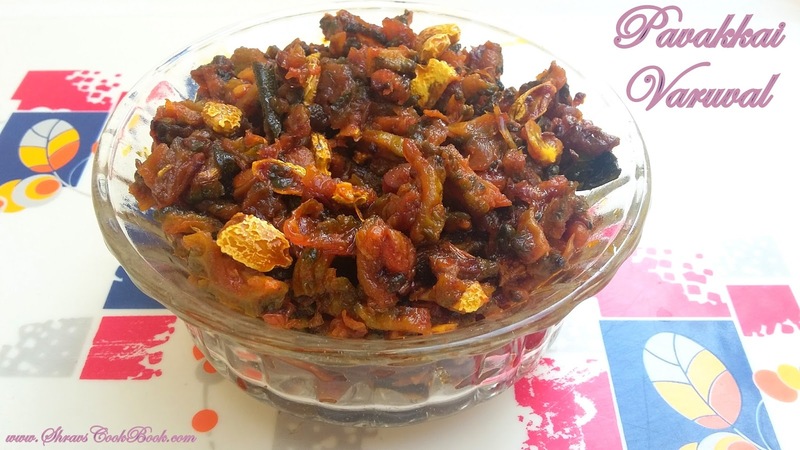 Kakarakaya Pulusu is yet another yummy pulusu recipe made using karela. Stuffed kakarakaya is yet another recipe on the line. Bittergourd decreases diabetes and ensures a longer life time. Fenugreek Leaves and its seeds also help in reducing blood sugar levels. 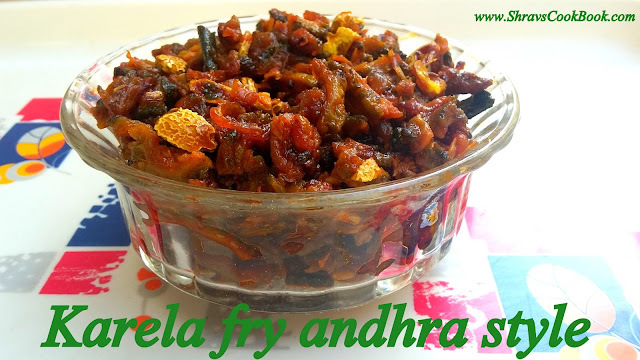 Let us learn how to make kakarakaya fry (vepudu) andhra style. Also you can find karela in both green and white colours. 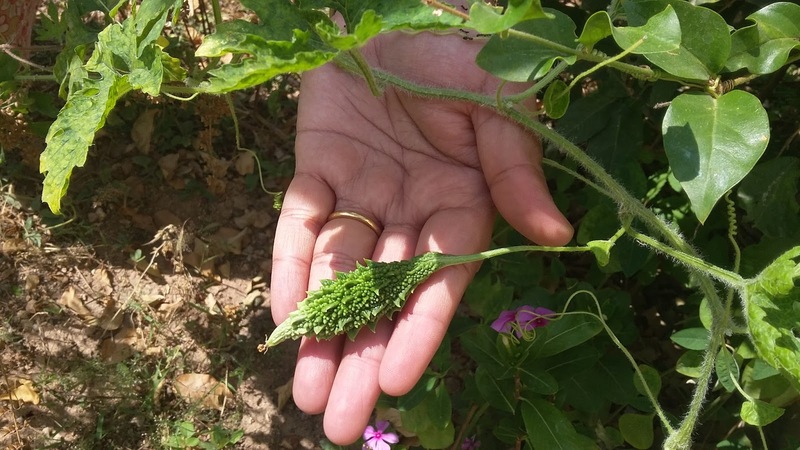 White karela will be less bitter than green karela. There is another vegetable named aakakarakaya i.e. spine gourd in english which also belongs to bitter gourd family, but is not bitter at all and this particular veggie is available only during winters and people give a lot of privilege to this aakakarakaya because of its taste and texture. I have already posted its recipe "aakakarakaya fry" so do check out and wait to cook it till winters. 10. Switch off the flame, and garnish with coriander leaves. 11. This kakarakaya kura or pavakkai varuval goes well with steamed rice or roti.